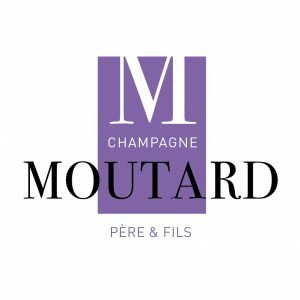 The Maison Moutard is a family based in Aube for several generations. Although it respects traditional values, it does, nevertheless, have a contemporary vision of the world visible in its strong values. Generosity and a desire to offer emotion and pleasure are the driving forces behind the Maison Moutard. 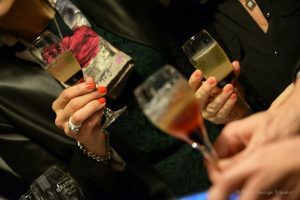 Wine is naturally synonymous with conviviality and production is always designed to accompany privileged shared moments. 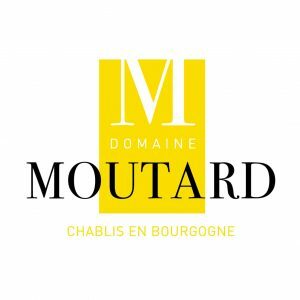 Known in particular for its work with old and forgotten grape varieties, the Maison Moutard distinguishes itself by its respect for the identity of wines linked to their terroir. Its objective is to create a continuity between the wines of the past and the present. 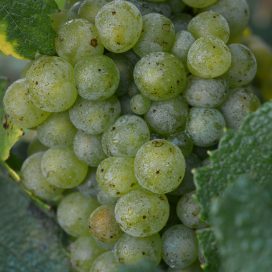 The aim is to introduce people to what already exists, without limiting itself, to select excellence at each stage in the process of the creation of its wines and to know how to question itself, listen, hear and adapt. Each action in the company must comply with the very highest quality standards. 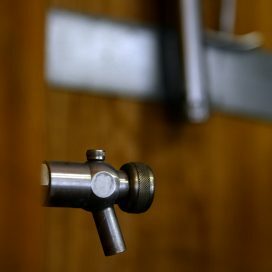 The aim is to control the quality and traceability of the wines and spirits at all times. 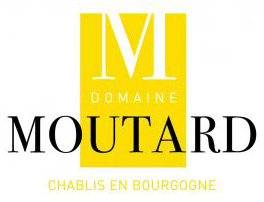 Not to mention, to ensure the best value for money, also one of the Maison Moutard’s trademarks. 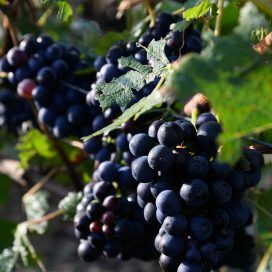 Producing healthy grapes is obviously an essential step for making high quality wines. 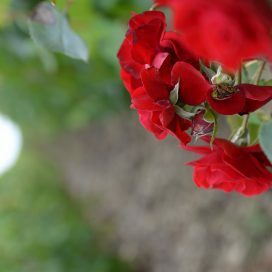 For many years, the main subjects discussed on a daily basis by the Moutard family members have been the respect, perception and observation of nature and its preservation, as well as the longterm conservation of the soil’s balance. The family’s know-how is in keeping with tradition and respect for the vineyards’ ecosystem in order to ensure handcrafted and sustainable viticulture. 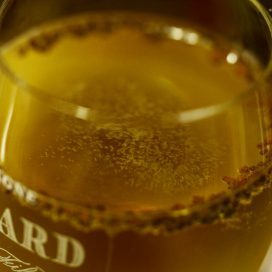 Thus, certain specific technical aspects, at the heart of the establishment’s wine-making signature, are perpetuated: pre-pruning in the winter period, pruning in the spring, maturing of most of the wines and champagnes in Burgundy oak casks (an exceptional characteristic), as well as a long resting period that may exceed 15 years. 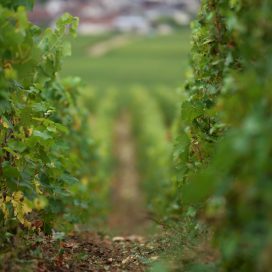 In Champagne, the land is still worked with a “raclotte”, the term used for a spade. 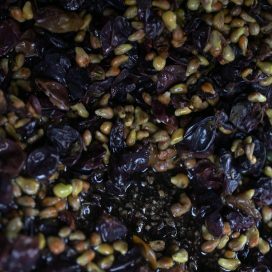 The soil is fed with natural manure as well as Champagne pomace and grape stalks. This is referred to as soil amendments, a technique inherited from the family’s pioneer. The actions implemented usually follow the lunar cycle, in line with the vines’ biological rhythm. Mechanical weeding (ploughing), trimming, date of harvest, or bottling, none of these actions is left to chance. And the new generation continues to work in the same sense by searching for innovative solutions (for example, to avoid the addition of sulphites), for the good of consumers as well as the winemakers. The definition of the world «hedonist» fits François to perfection. He knows how to make the most of life, but he enjoys it even more when he has people around him to share it with. 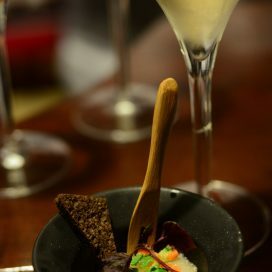 With Burgundy wines, Champagne and spirits, he has found the perfect answer to his wish to spread happiness. And the opportunity of working with his family around him is something that adds to his incredible luck. 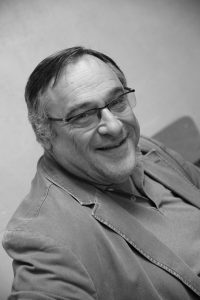 In the 1980s, François quickly learned his profession alongside his father, then the owner of 10 hectares of vineyards and at the head of a team of four employees. Lucien had a strong character and, above all, a vision of growth for the company which was mainly based on the family’s success. 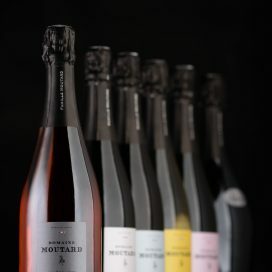 With his sisters, Agnès and Véronique, François pursued the mission to help the Moutard brand to grow over the years by searching for new opportunities, conquering emerging markets, at a time when of expension for the Champagne production. Although he readily acknowledges a few strategical errors in the past, he very quickly learned from his mistakes and, today, has a clear vision of what he wants for his company. His objectives are to stabilise the brand, continue to collect quality references and gradually ensure that the brand is recognised by major restaurants for its exceptional value for money. 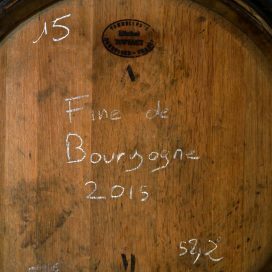 Growth will also involve the development of Burgundy wines and the distillery for which he has many great hopes. his opinion and ensure that he gets the most out of the tool. François likes encouraging and pushing others so that they give the very best they have to offer. This does not mean that he betrays their trust. Honesty is another of his qualities and he will definitely not hesitate to give a very direct opinion if a job has not been done well. Nowadays, François still enjoys attending shows, taking time to chat and share his passion. He claims to know London like the back of his hand, and Brussels inside out, not to mention Paris, which he visits regularly in order to enjoy the hustle and bustle that he loves so much. He declares himself to be a “gentleman farmer“ but he shows much more energy than such a simple cliché. 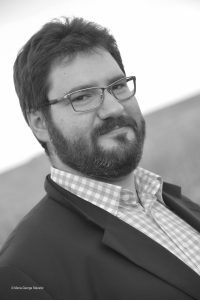 It is true that he is one of the dignitaries of the Confrérie du Saulte Bouchon Champenois (“Bouchonnier” to be exact), namely the one who «judges the opening of the bottles present at the sacrifice». In this structure, he sees a way to promote the qualities of Champagne even further, in particular when he participates in the enthronement of a member from a foreign country. Above all, he has a passion for powerful vehicles and motorboats, which he sails either on the lakes in the region or in the Arcachon basin. Here again, pleasure is not something to be enjoyed alone. On-board, he has to have his children around him, his clan. Nothing would be possible without them. 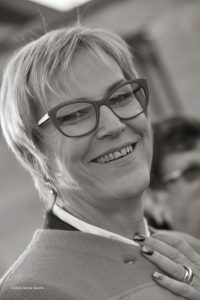 Barely after completing her studies in business management, Agnès immediately joined the family company. No time to take a back seat, to obtain some experience in more advanced structures, she wanted to adapt on her own to just one place, an establishment in full growth. 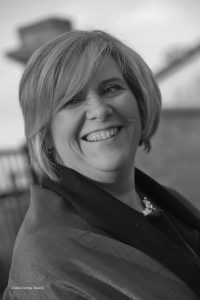 Agnès takes over the administrative side of things, human resources, relationships with banks and various organisations and manages supplier accounts. However, she does not spend all of her time in the office. It is not unusual to find her at weekends welcoming visitors in order to explain the different products and participating in wine tasting. A few years ago, she also used to oversee work in the vineyards (and acknowledges that she still regularly visits them). Her objective today is to ensure a good relationship between her brothers and cousins. For her, family is a strength for the company and she wants to be proud of having sucessfully passed it on to the next generation. 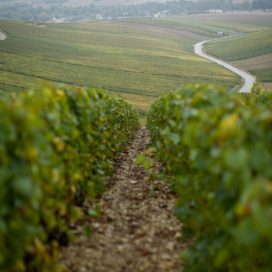 The decision to buy vineyards in Burgundy met this idea to offer each family member a chance to work and thrive in the family business. She herself recognises that the younger members of the family bring her motivation and energy with their new ideas and the implementation of innovations and challenges. As someone who loves books and travel, open to discovering new cultures, ways of life, natural or urban landscapes, Agnès hopes to be able to travel the world more in order to see for herself «what nature and humans have done». However, she knows that she will have to be patient still because none of the «boys» have yet declared that they want to take over the Administrative side of the business. She is definitely the one who has the most accurate vision of the state of the company. In charge of reception, transport and exports, Véronique is at the heart of all the orders in progress. And her experience makes her a key person when a problem arises. With a Vocational Diploma in Administrative Services, she started to work with her father when she was 18 years old. In the vineyards and wine cellars, she worked in all areas of the production process before gradually settling in the offices. For her, the arrival of the «boys» is a good thing, especially since there is a good atmosphere and the transmission process is going well. For her, it would be impossible to imagine it any other way. Bring in an outsider to take over one of the key positions? Impossible. «I would rather sell up», she says without the slightest hesitation. This is one side of her character, her ability to tackle problems head-on. Véronique may sometimes get carried away, but always respects certain limits. For example, intimacy is unacceptable. «Nobody should forget their place», she explains. However, this does not mean that she is insensitive. Recognition is hugely important for her. 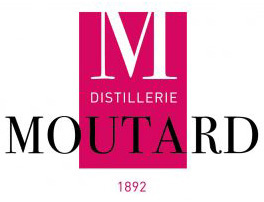 Sometimes, she regrets slightly that the Moutard brand does not mention that women also manage it. 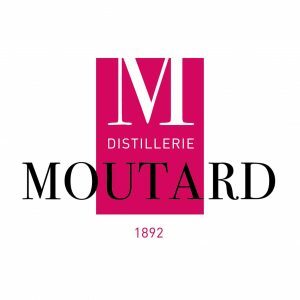 Her greatest satisfaction would be, some day, finding the Moutard brand distributed in Vanuatu, on the other side of the world, or being recognised strolling down a shopping street in Troyes. All these small things would delight her and confirm her idea that quality always ends up being recognised, that fame always comes to those who wait. Soon, as she says, she will be able to get out a bit more, travel and take a back seat (but not too much) in this beautiful establishment where she grew up. Benoit dreamt of being a fighter pilot until he was about 10 years old. Although his career has led him along a different path, it is easy to see signs of his childhood passion in his present life. Aviation immediately brings to mind the notions of speed and control and these are the two obsessions which can be found in Benoit’s work. He focuses on saving time, or rather optimising each moment so that production goes as well as possible, or «flows», as he says. 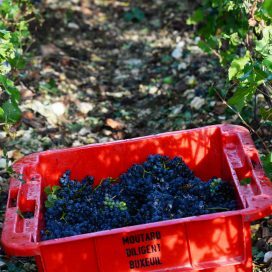 With a Vocational Baccalaureate in the Running and Management of Farm Estates from Beaune and over a year spent in Britain working as a bartender, he developed a taste for supply management and applied it in the field through his sense for the perfect sequence of tasks. This involves, for example, the proper organisation of human resources, the choice of equipment and stock management. And, above all, knowing how to anticipate unforeseen events. With a talent for figures, Benoit was quickly able to visualise the steps needed to ensure that production goes as well as possible. He then took time to write down the procedures that would ensure the success of each new project. 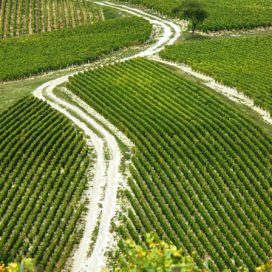 Therefore, if orders for Burgundy wines were to progress from 200,000 to 600,000 bottles, he would not be particularly concerned. He has already thought of everything and knows that he can count on his team of about thirty staff to keep up. His success is something he savours when it comes to tasting, when the result is visible and the quality is still there despite changes in the production process. Known for his energy, Benoit is never last in line for a night out in town with friends and is always up for a memorable party. But, in the same way as any good fighter pilot, something that, ultimately, he could almost be described as, he is never taken by surprise. And he is planning soon to conquer customers in some other major American states that remain relatively unexplored. A person who loves new encounters, from China to the United States, Thomas is the one who travelled furthest from the family. As the son of a winemaker, he naturally went to Beaune to study. After obtaining a Vocational Baccalaureate in the Running and Management of Farm Estates, with an option in Vineyards and Wine, followed by a Higher Technical Diploma in Wines and Spirits, he set out for London where he worked as a bartender. 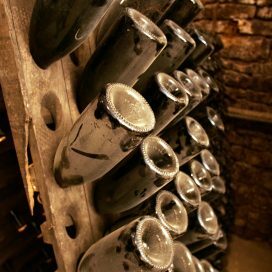 There, his position allowed him to gradually promote the family brand when ordering for his employer’s wine cellar or recommending a Champagne to his customers. His sense of service was honed and led him to being spotted and asked to open an establishment in Dalian, Northeast China, a city experiencing strong growth which is already home to 7 million inhabitants. However, customers in this region do not yet have a palate that is educated enough to recognise the subtleties of French wines. Famous names continue to dominate and it is very difficult to find a place among them. In 2014, Thomas returned to Buxeuil without abandoning his wish to make the brand known around the world. Naturally, he focused greatly on London, which was in difficulty at the time. And since he knows the Chinese culture well, his strategy involved making his mark among the British capital’s many Asian restaurants. The United States was also a prime target for Thomas. There, he found a way to satisfy his passion for wide-open spaces as well as the hustle and bustle of cities. Thus, each professional trip to New York or Boston offers the opportunity to make new contacts and explore the country in greater depth. When he is in France, Thomas also enjoys displaying his reception skills. On his initiative, the group reception space quickly became more pleasant and attractive. He wants to increase the number of visits and regularly contacts coach operators and travel agencies in order to encourage them to make a stopover at the Maison Moutard. Beyond the commercial benefits that this generates, it also offers Thomas another opportunity to encounter yet more travellers from around the world, encounters that the trully values. The other family members call him the “man of the land”. And Edouard is quite comfortable with this nickname. He is a nature lover and he feels his best when he is outdoors. 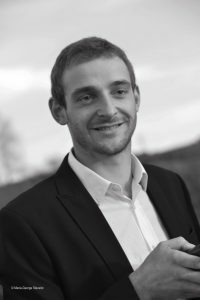 With a Technical Diploma from Beaune in Viticulture and Oenology, he is happy to admit that he did not enjoy the oenology part of his studies as much as the viticulture part. 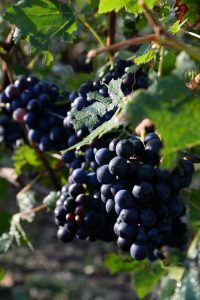 From the grape harvest in 2009, he very quickly took over the supervision of the running of the property’s land. His area of expertise includes all the work around the vines. Respecting the soil, taking time to listen, understand and watch it evolve with the seasons, this is what Edouard’s daily life is about. In the winter, when the vines are battling the cold, he also works in the distillery with his cousin Alexandre. But, very quickly, he has to return to the vines and observe their evolution and watch the grapes appear. His joy: “to obtain beautiful grapes”, quite simply. And, he displays a slightly mocking smile when he compares his work to that of his neighbours who change their methods too often, who scorn this earth which, for him, is the thing of the greatest importance, and who find themselves with much less favourable results. In his leisure time, he takes the opportunity to enjoy the treasures of nature even further with motorcycle excursions and hunting. 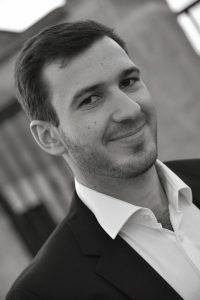 Conviviality is what he enjoys about working as a family, the chance of being able to benefit from direct communication which avoids things being left unsaid and unnecessary tension. 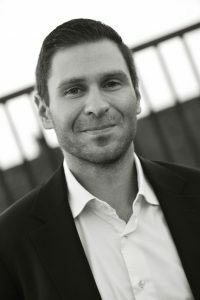 Not worrying – in fact being Zen would be the perfect term – is definitely the key to the success of all of Edouard’s projects. A «country-style globetrotter», this is how Victor describes himself, a term that he himself found and which suits him down to the ground. A pupil at Beaune wine school, he very quickly decided to get to the heart of the matter. His first work placements took him to Châteauneuf du Pape, with the Brunier family at the Domaine du Vieux Télégraphe, then to the Domaine Alain Besson in Chablis and, finally, the Domaine A.F. Gros – Parent in Pommard, Côte d’Or. After a short period in Bordeaux, at the Institute of Nature and Agri-Food Science, he crossed the Atlantic to live the American Dream, which had been on his mind for some time. 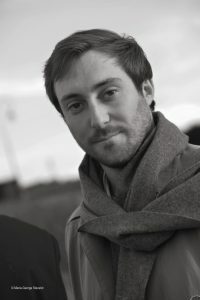 In alifornia, at the «Clos Solène» winery, he worked alongside Solène and Guillaume Fabre, originally from Bordeaux, who had developed an attractive estate producing wines reserved for a privileged few. Victor, charmed by the experience, decided to explore different styles of production. He decided to head to Blenheim, in New Zealand, to the Marlborough vineyards where he discovered the «wine factories», as he calls them. Still with a hunger for new adventures, he next travelled to South Africa and took part in the winemaking process at the Nabygelegen estate in Wellington, famous in particular for Snow Mountain, an astonishing 100% Syrah wine made with grapes planted at an altitude of 800 metres. Between each trip, Victor naturally participates in the growth of the family estate. He lends a hand according to needs, in the winery, in production, at the distillery or at the sales service. On the strength of all the knowledge he has acquired during his various experiences, he wants to help his brothers and cousins spread the brand’s name around the world. Not to mention to produce the very best quality. He is very proud of the company’s production and it would not be a surprise to soon see Victor at the head of one or more estates. But, probably, in lands far from Burgundy or Champagne.